The struggle is real. Intentions are sincere. But a meet-up with your besties at the Sunday brunch could be the final insult to your diet. And that is before you strive to ignore the dessert parade. Eating with purpose takes discipline and planning. It’s fun to get out, away from routine and try new things. But if you’re on a portion control diet, take charge and prepare ahead of time because you can do this! Success starts before you leave home. Knowing you’ll be in a tempting situation, have a bite of food before you go so you won’t arrive starving. A few veggies, celery with a spoon of peanut butter, or a cup of veggie juice takes the edge off. Liquids help too, like a cup of veggie broth. The Almased Weight Loss Phenomenon may be the endurance secret to all diet bombs. Drinking just half of an Almased Shake before you leave curbs major hunger pangs big time – it’s designed that way. When attending buffets and potlucks, Registered Dietitian Ally Gottfried, suggests you walk around the display of food – empty handed - and mentally pick out four of your favorites. Make at least one choice a vegetable and another one a protein. Of course, avoid heavy sauces and fried foods. There’s one habit you may want to re-think, and that is "getting your money's worth" at the all-you-can-eat buffet. Most of us try not to squander but, that kind of thinking adds inches of waste at the waist. To discourage over-loading, use a smaller size plate for the entrée and the larger size for salads and veggies. How to portion control while eating out takes just a little practice. The secret is to connect the dots between the size of your food portion and the weight that shows up on your bathroom scale. The U.S. obesity epidemic began between 1970 and 1980. “Coincidentally” this is when fast food consumption began to skyrocket, as shown in the chart below. Notice the corresponding connection in the jump of the average calorie intake, shown in the second chart below. While the growth of the fast food industry seems to play a significant role in the obesity epidemic, the food itself is not the only factor. According to the National Institutes of Health (NIH), portion sizes have changed dramatically over time. Charts like these are worth a thousand words and the pictures below are beyond edgy. Below, Dr. Wendy Scenta shows a summary of how some of our favorite foods have changed in portion sizes and calories over the last 20 years. OK – we’ve hammered the point that over-portioning as our national past time can no longer be denied. Over-portioning - causes over-eating - causes over-weight. Stop the hate and learn to love your scale again with these 7 lucky tips for success with portion control when eating out. TIP #1 Don’t force yourself to eat everything, ask for a to-go bag. The portion control restaurants use is designed to increase their sales volume per customer. They serve a bit more, and you pay a bit more. It seems to have worked. So, enjoy the leftovers tomorrow. TIP #2 Consider making a meal from the appetizers and side dishes. Indulge in your favorites but in smaller portions. Many restaurants offer a combination dish of various appetizers, which gives a nice variety. TIP #3 Plan a healthy meal and stick to it. If ordering from a menu, it might help to pull it up online and pick out your dish before you go. Choosing ahead of time can prevent drooling over a vast array of eye candy at the table – and over-ordering. TIP #4 Limit the number of times you eat out. What is normal for you? Going out once a week or twice daily? Can you comfortably cut that down by half? You may find you cook more healthy meals at home. For motivation create your own “Go Fund Me” jar and fill it with the money you would have spent eating out. You’re sure to find a good cause! TIP #5 X the Extras and share. Can you “just say no” to desserts? If not, at least share it with a friend. Sharing saves more than calories. The health you save may be your own! TIP #6 Partner your menu plans with the Almased meal replacement. It takes only half of an Almased shake delivers serious satisfaction and long-lasting fullness so you can eat less. When rushed for time, don’t skip a meal. Drink a whole Almased smoothie instead. There are all manners of portion control apps with techy features. The free Lose It app tracks your food with a snap of your camera, the scan of a barcode or a database search. It will also track exercise, issue a daily calorie budget and help set goals. Why is portion control important at home, too? You want to cover all your bases, eating in and out. By focusing on the right portions at home, the new habit will soon take root as you quickly learn to gauge serving sizes wherever you are - it becomes second nature. First, be exact by using a food scale to measure by weight, or spoons and cups to measure by volume. The difference between a 3 or 5-ounce burger patty adds up - even more so with high-calorie oils. Don’t have a scale at home? 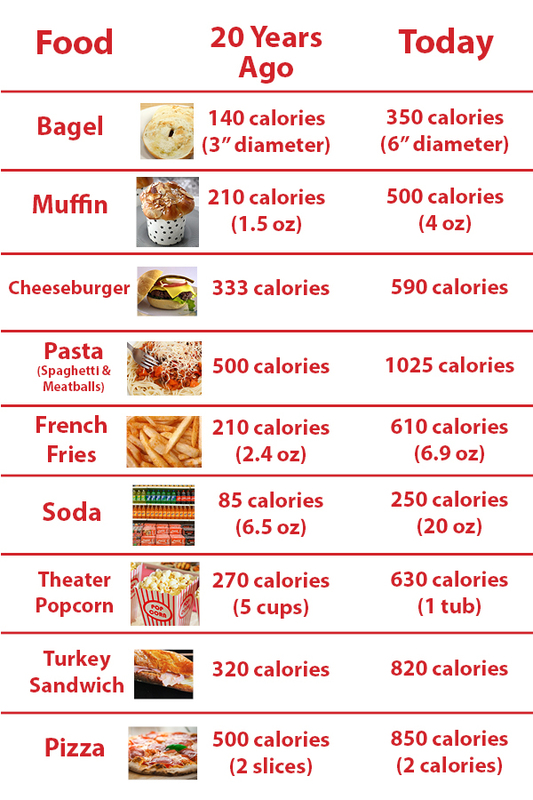 No need to fret, you can follow a visual hand guide to estimate your food portions. The right-sized dishware is a good investment. Divided dinner plates help, and so do smaller size bowls, cups or glasses. Measure exactly how many ounces fill your cup or bowl. When serving you want to be sure that a cup of soup is 8 ounces, not 10 or 12. Check out the food labels because you might be startled to see just how much – or how little - portion size is. When a food label states the number of servings contained, such as in boxed cereal, divide the contents into that many individual containers. It’s spot-on and ready to go. Whether preparing foods, cooking foods, or handling leftovers to be eaten later, usually the best portion control containers are those sized for individual servings. Refrigerate or freeze as needed for an easy warm up or a quick grab-and-go. Ditch the family-style serving and bring your soul to the table. Serve from the kitchen or stove-top, or have everyone serve themselves separately. Large bowls and platters of food on the table are too handy to grab for seconds and encourages everyone to eat more. Once you’ve grown more aware of portioning, the “trained eyeball” technique is a useful talent. The goal is to estimate serving sizes compared to familiar items. If you’re a newbie at this, measure your guesswork first to confirm accuracy. Now we’ve got to hype Almased The Weight Loss Phenomenon because it’s an ideal example of the very best in portion control. Ingredients have been measured and all calories counted. The 27 grams of high-quality protein with a low glycemic load, and the goodness of non-GMO soy, raw enzyme-rich honey, and skim milk cultured yogurt make for a filling meal. Mix Almased in 10-12 ounces of cold water, skim milk or unsweetened almond or soy milk. For essential fatty acids, add 1-2 teaspoons of olive oil, walnut or flaxseed oil. Spice it up with your favorite flavorings or extracts. Check out all of these awesome recipes because you will be impressed and inspired. Besides, who wouldn’t want to drink a smoothie? Almased is a diet marvel, and many scientific studies and first-hand experiences show that Almased demolishes hunger pangs for hours. Quickly said, it leaves you feeling full and satisfied. The Almased company is 30 years young and remains a family-owned business today. The product was initially created in Germany to improve sluggish metabolism. One of the success secrets seems to be in the patented method of fermentation. When body fat began to melt off the first patients who tried it, it was as if Almased activated their belly-shrinking genes! The Almased Diet is a natural, pre-measured system that helps the body select fat for fuel as it fires up the resting metabolism. As the body burns fat, the quality nutrients in Almased help protect essential muscle mass. According to Dr. Charles Shively, Ph.D., RPH, Almased offers more than weight loss as it provides an energy boost, reduces fatigue throughout the day and the excellent nutrition supports good health and well being. I have seen a tremendous difference in my weight and how I feel overall. I also noticed a positive difference in my hair and nails, too, which wasn’t something I was expecting. It probably has to do with all the vitamins in Almased. – Gloria B. My hair has gotten thicker and my nails have gotten stronger. I look younger than I did a year ago – all because of good nutrition. – Sondra W.
So, now you’ve heard a little about the unexpected extras in Almased and a whole lot about portioning your food intake. It’s a “less is more” thing. Eat up and slim down with Almased. What will you do?